How precious and sweet is this little gal and her pup!? Any ideas on how you will use these two? Can’t wait to see!! HOW flippin awesome is this!!!!! WOW!!!!!! but the cutest part is the little girl looking at us!!! : ) hugs and love to all! 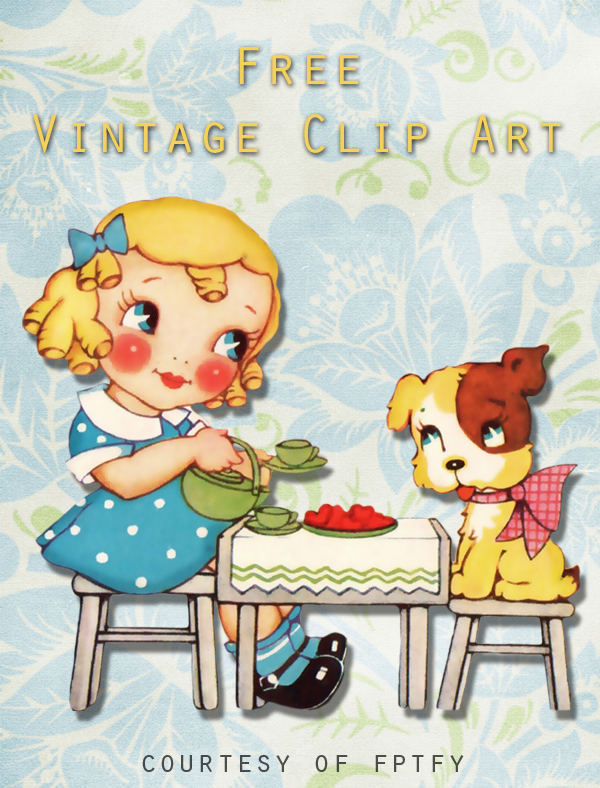 How much do I love your vintage clip art? Let me count the ways….Thanks so much for these sweeties, sweet Keren! Hi Keren~ Now this Is my cup of tea….sorry, couldn’t resist! Charming. Heart cookies, Mary Janes, and a patch-eyed pup- thank you. It would TOTALLY make my day to get these cuties Marci!!! have a lovely weekend, pretty girl! This is just precious!! Thank you SO much!! Oh my, this is soooo cute! I don’t drink coffee, I’m a tea drinker, love tea (my Daughter gave me a gift set from Teavana for my birthday) so this is for me! Thank you! So sweet…thank you so much!!! This is a most generous offering. Such a special image. I can think of many ways to do this. I give away a lot of baked goods to friends, postman, etc….making a tag and attaching to pastry item will make it extra special. Thank you so much for sharing. 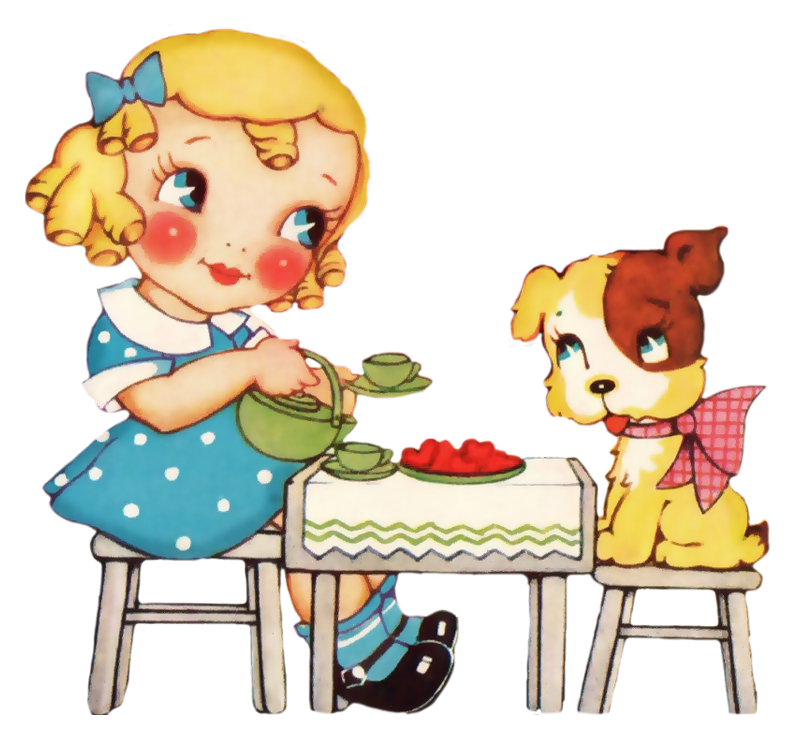 I need to find the “take a moment” poem I have stashed away, This precious girl and her pup would be perfect for the front of an envelope slightly bigger than a tea bag!!! I’ll place a yummy tea bag into the envelope with the poem for the “Random Acts of Kindness” idea that I picked up from the Kind Over Matter blog!!! This is just what I needed to motivate me out of the muck. Thank your for sharing. Have a Blessed Day! Thought it was so cute enlarged it and painted it onto a tea tray for my daughter.